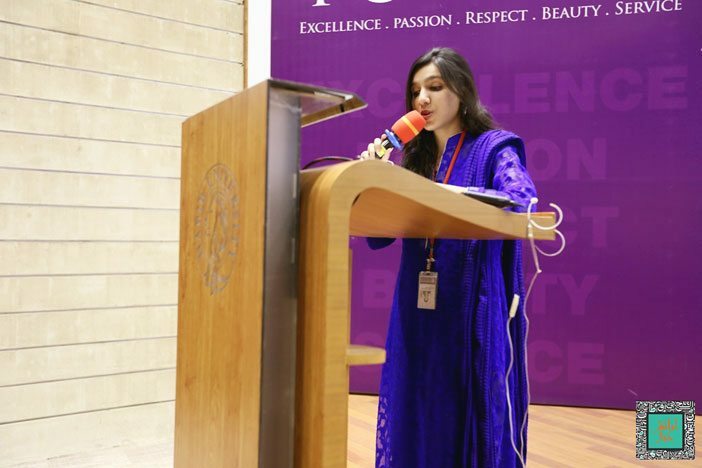 Yusra Afzal, President of Habib University Student Club Araish-e-Khayal, writes a blog about the event the club organized for the HU community as well as guests, dedicated to poet and writer Jaun Elia. Could there have been a better start to the evening than the verses of Jaun Elia’s beautiful ghazal? The depth of poetry is limitless and the depth of literature even more. In order to decipher a part of that depth that lies within the writings of a single Urdu poet and writer, Jaun Elia, Habib University’s Student Club Araish-e-Khayal arranged an evening dedicated to this great contemporary poet, in collaboration with the Arzu Center for Regional Languages and Humanities. The excitement of the general public in the days leading up to the event was palpable, since an event of this scale on Elia had not been attempted before. As the recitations of Elia’s poetry and prose by the members of the club commenced, the audience was caught in the deep reverie of Elia’s Kalam filled with beauty, love, and betrayal. The audience was evidently delighted with appreciation as each beautiful Misra of poetry was recited. 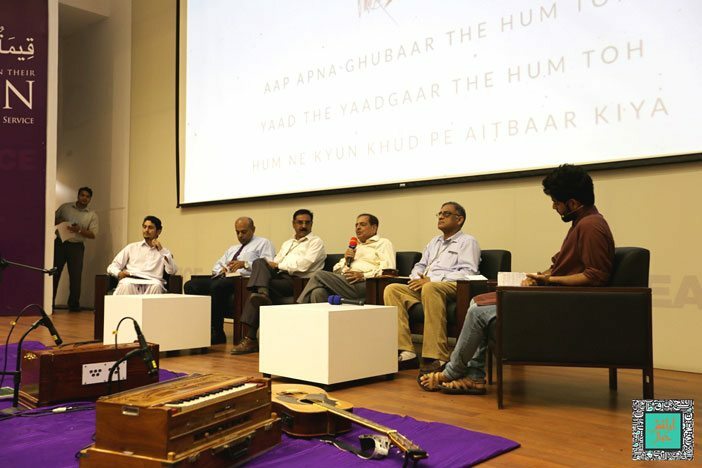 The recital was followed with a panel discussion moderated by two students of HU who follow Elia and his writing, Abdul Wahid Khan and Fahad Nasir. The honorable guests for the panel discussion were HU faculty members, Dr. Asif Farrukhi (Director for the Arzu Center for Regional Languages and Humanities), Dr. Muhammad Haris and Inamullah Nadeem. Also part of the discussion was the phenomenal author and Urdu editor, Mr. Shakeel Adil Zada, who was one of the oldest and closest friends of Jaun Elia. 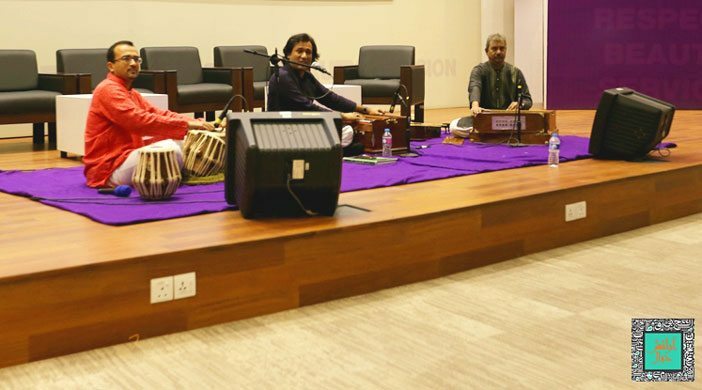 As the evening progressed, a musical tribute to the prodigious poet was presented, first by the budding artist Shariq Hassan, and then by the phenomenal Ustad Karam Abbas Khan, accompanied by Islamuddin Mir Sahab on the harmonium and HU Mathematics Lecturer Yousuf Kerai on tabla. 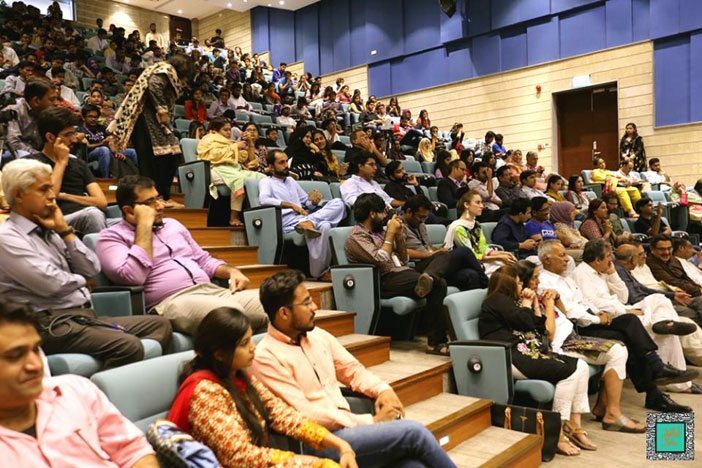 This event was attended by many notable figures like Ms. Ameena Saiyid (Managing Director of Oxford University Press in Pakistan and Co-founder of Karachi Literature Festival), members of literary circles, and representatives of the media. The evening was wrapped up with a thank you note to appreciate the efforts and presence of Habib students, and a public audience of over 300 people, majority of whom were passionate young adults who take avid interest in Urdu literature and poetry. The club aspires to arrange more events like these in the future to provide students and other literature aficionados with exposure to contemporary and traditional trends in Urdu literature and poetry, and a platform to express their love and passion for Urdu poetry and prose. This blog was written by Yusra Afzal, Sophomore at HU’s School of Arts, Humanities and Social Sciences, majoring in Social Development & Policy, Class of 2020.